HASS 7000 system is a simple and convenient ZigBee Light Link (ZLL) profile based solution. It enables the users to realize their Smart Home dream with minimal efforts and investment. Households could simply replace their light bulbs with ZigBee-enabled LEDs for various smart applications such as remote On/Off, dimming and even the adjustment of color temperature. Each LED bulb could be paired with and remotely controlled by one or more Remote Switches from anywhere at home. 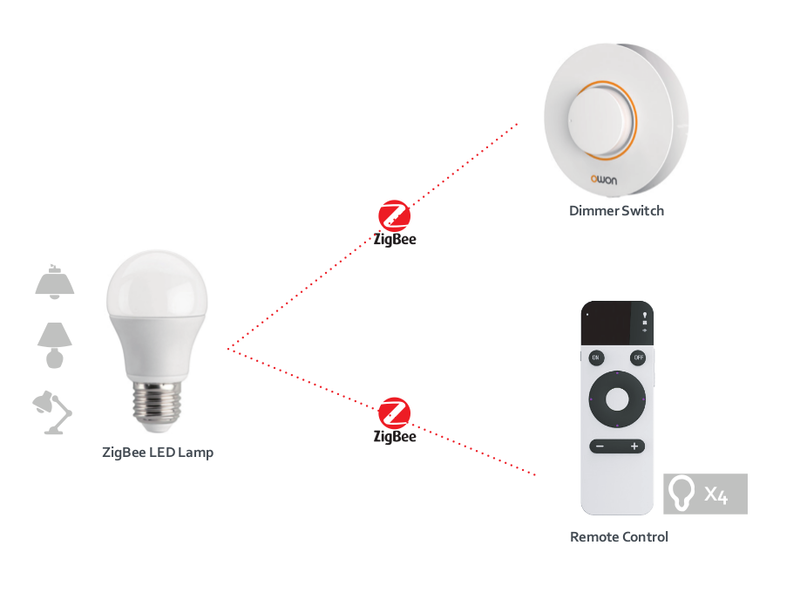 With the help of a Mini ZigBee Remote Control, the users are further allowed to integrate up to 4 groups of lightings into a single system, so as to monitor and control the whole-home lighting with a Mini Remote in hand.